PLS34. 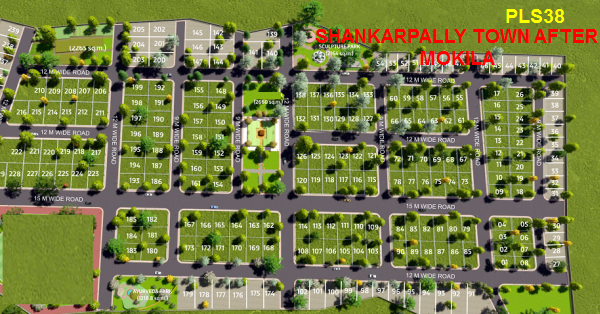 PLOT LAYOUT BESIDE SHANKARPALLY TOWN. As usual, Exclventures will coordinate with buyers till registration. You can enquire and on confirmation of interest pay Rs.2Lakh to block desired plot number. Bank loan will be available as usual. The Layout is between ORR and RRR which runs beside Shankarpally Town! Lingampally to Shankarpally MMTS in progress. Within minutes reach Hitec City Station on MMTS train. Dont regret later. Phase 2 will be launched later, at higher rate and will have villas too.